Save these dates! We’re thrilled to be working with these non-profits. 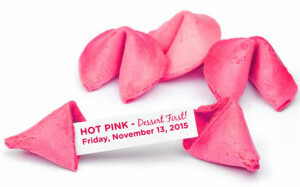 The Event Group invites you to attend these fabulous upcoming events for great causes. Are you ready to start something big? Join Big Brothers Big Sisters of Greater Pittsburgh to celebrate its 50th anniversary with the Fly Away Bash. Enjoy cocktails, hors d’oeuvres, strolling dinner, live entertainment, live and silent auctions, plus the chance to win one of three great trips that will depart at the end of the evening! Lucky winners will be flown to New York City by private jet for an all-expense-paid weekend. There will be additional drawings for getaways to Nemacolin Woodlands Resort and Omni Bedford Springs Resort. General tickets $150 and VIP tickets $250. For more information, please call 412.204.1216 or visit www.bbbspgh.org/flyawaybash. 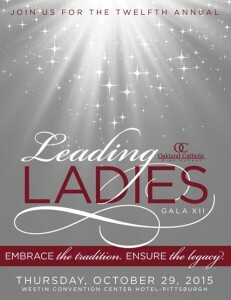 Join Oakland Catholic High School for an exciting evening at the Leading Ladies Gala XII, recognizing the Pittsburgh region’s “leading ladies.” The gala features a student performance and live and silent auctions. All proceeds benefit Oakland Catholic High School. Tickets are $125/person. To purchase tickets or for additional information, call 412.682.6797 or email kferrari@oaklandcatholic.org. If you’re one of those people who says, “I only eat dinner to get to dessert,” then this event is for you! Join Adagio Health as we present an evening of amazing food and live entertainment. Tickets are $125 and include pastry chef dessert stations and beverage pairings, savory hors d’oeuvres and dessert-inspired dinner stations. Please email info@adagiohealth.org to be added to our mailing list, or visit www.adagiohealth.org/womens-healthcare/events for more details.